You’ve likely heard of the impending wave of retiring baby boomers. The baby boom generation – those born between 1946 and 1964 – is currently the largest cohort in the workplace. 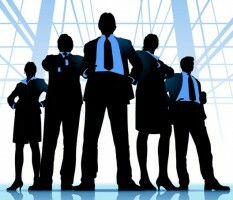 This generation occupies most of the senior-level management roles and continues to hold most of the power and control. The older members of this generation have begun to retire from the labor force. However, retirement eligibility is expected to skyrocket in coming years. In fact, about 30 percent of federal employees will be eligible to retire by September 2017, according to a January 2014 report released by the Government Accountability Office. The report also found that at least 59,000 career permanent employees are projected to become eligible to retire each year from September 2012 through September 2017, for a total of about 300,000. By September 2017, nearly 600,000 of the 2012 on board federal employees will be eligible to retire. These departures from the federal workforce pose large challenges to operational continuity. With budget constraints and slow hiring, combined with factors that have made federal service appear less attractive to younger generations, this exodus of experienced employees may be a cause of concern due to labor shortages, knowledge drain and loss of institutional wisdom. It’s never been more important to have a succession plan that includes identifying employees who demonstrate the potential for taking on increased responsibilities and preparing them to assume higher-level roles within an agency. Inevitably, at some point, baby boomers must turn over its leadership roles to the Generation X and Generation Y (or Millennials). Now is the time to attract and nurture young and mid-career talent. The federal government has made strides in recruiting young talent through the Pathways Programs, which is intended to promote employment opportunities for students and recent graduates in the federal workforce. The Pathways Programs will be the main tool agencies use to channel new people into the government workforce pipeline. As a student or recent graduate, one can begin his career in the federal government by choosing one of the three programs: Internship Program (for current students), Recent Graduates Program (for those within two years of graduation from a higher education institution or trade school), or Presidential Management Fellows Program (for those with a master’s degree or higher). Although the federal government has taken steps to attract young talent, its efforts shouldn’t stop there. Recruitment is just the first step. The bigger challenge is implementing an effective retention strategy. Employee retention has become a major concern especially for the newly hired young talent. According to a study conducted by the Partnership for Public Service, “Beneath the Surface: Understanding Attrition at Your Agency and Why It Matters,” nearly a quarter of newly hired federal employees leave their jobs within two years. Facilitating an orderly transfer of knowledge is important in the looming retirement wave. There cannot be an effective “knowledge transfer” if there are only few present to receive the “knowledge.” Good succession planning is not just about recruiting to fill in a slot, but looking at people early in their careers, determining what kind of training they need to become leaders and successfully retaining them. The federal government is experiencing a period of major change, with the baby boomers nearing retirement and fewer young professionals in line to fill their shoes. Making time to invest in the next generation will certainly ease the transition. Federal agencies should provide adequate professional development opportunities that will make young employees feel that the agency has invested in them. Agencies should also offer leadership training for employees who meet the criteria as potential future leaders. Perhaps most importantly, agencies should establish mentoring programs by pairing employees that are more experienced with those less experienced in order to transfer knowledge and institutional wisdom efficiently. Mentoring is an effective way to engage future leaders, thereby increasing their organizational awareness and sense of loyalty to the agency. In addition, networking through various professional organizations is important for young and future leaders. One specific organization committed to providing the authentic voice for our generation of aspiring government leaders is the Young Government Leaders (YGL). Its mission is to educate, inspire and transform the current and future leaders of government. The membership consists of more than 5,000 young federal, state and local government employees. YGL encourages members to get involved, make a difference and develop their leadership potential. As a member of the Executive Board of YGL’s Northern California Chapter, I am pleased to say that it is an investment in my professional development. As the baby boomers depart the federal workforce, agencies really need to focus on effective recruitment and retention strategies of young and mid-career talent. How effectively agencies attract, retain and utilize its new and existing talent will determine future success. Long-term success can be achieved by creating opportunities for experienced executives to effectively educate and train future generation of government leaders. There will be an influx of new employees in need of mentors. Whether enough federal leaders are ready to be mentors remain to be seen. But one thing is certain: helping prepare the next generation of leaders to fill future critical roles is worth investing in. Author: Dulce Pamela Baizas, MPA, is an auditor with the U.S. Department of Energy. She is also the Director of Finance for the Young Government Leader’s Northern California Chapter. She can be reached at [email protected].